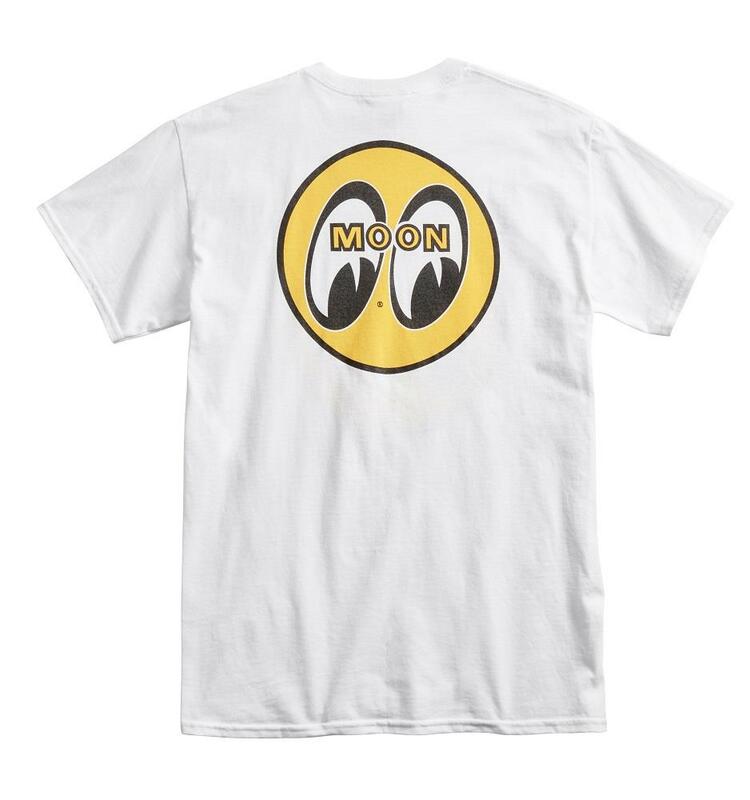 Mooneyes Moon Logo T-Shirt White with Yellow Logo TM001WH - California Car Cover Co. Proudly wear a Mooneyes T Shirt as they are one of the pioneers of the hot rodding industry. Moon Eyes is recognized the world over as a racing classic. 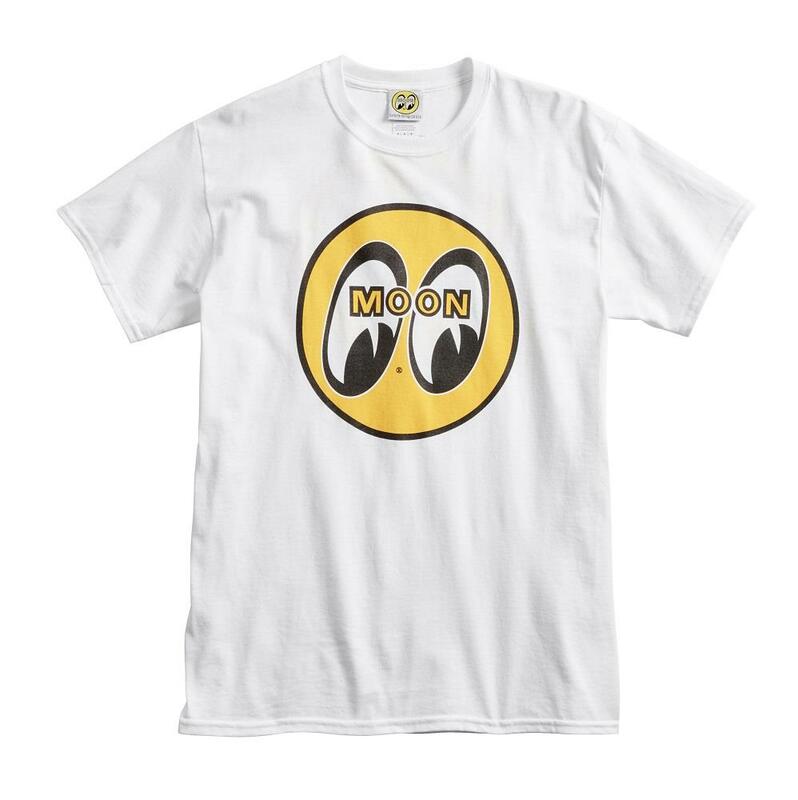 This Mooneyes MOON Logo T-Shirt in white is made of 100% cotton. Large logo on the rear and front chest.